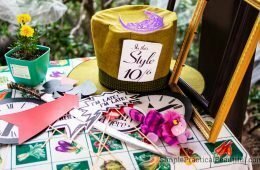 A Mad Hatter tea party for an Alice in Wonderland birthday with invitation, decoration, games, and fun ideas for a teenager’s birthday, including a rabbit hole, mome raths, croquet, and more. 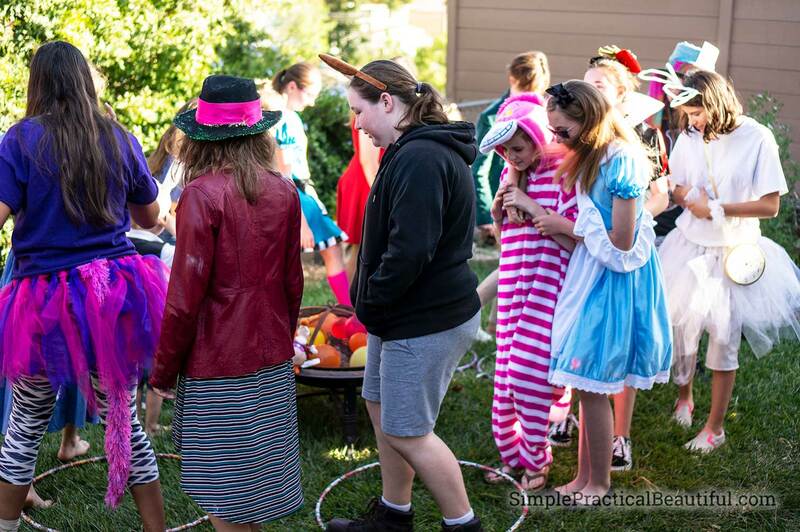 When my daughter turned 13, she wanted to have a big, crazy party and invite all of her friends over to celebrate. 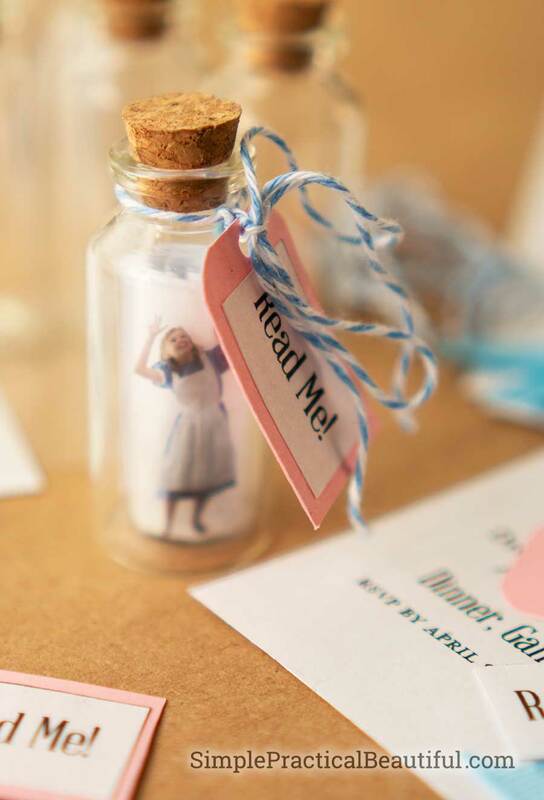 An Alice in Wonderland themed party seemed like just the right thing. 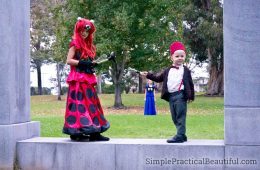 We invited all of the guests to dress as characters from Alice’s adventures in Wonderland and had a magical party filled with mayhem that any Wonderland character would be proud of. 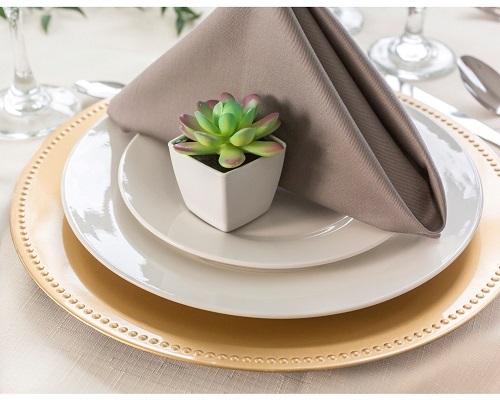 The fun of any party starts with the invitations. 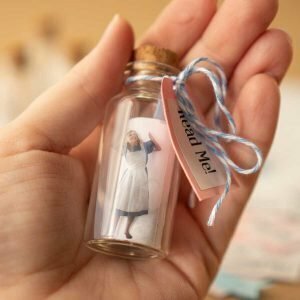 Our invitations were messages in a bottle that also had Alice trapped inside. 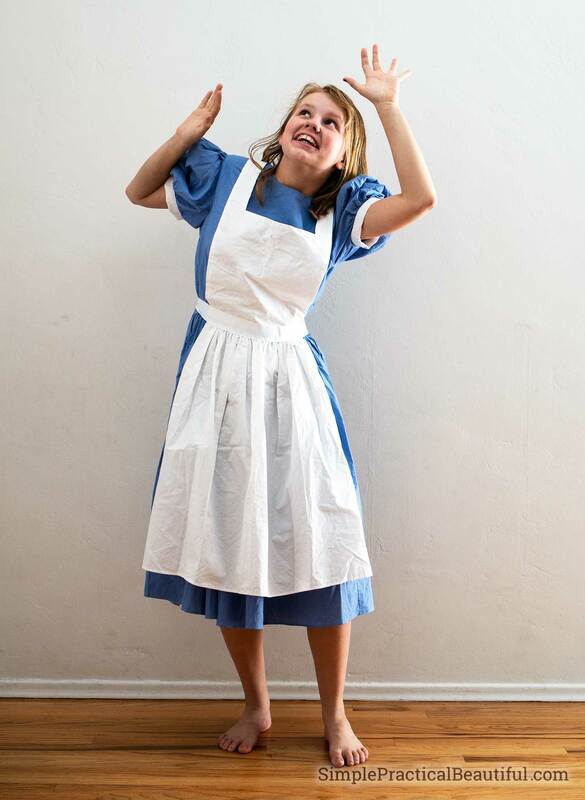 We started by taking pictures of my daughter wearing an Alice in Wonderland costume. We tried several different poses, but this shot of her acting like she was trapped inside something turned out the best. Then, we printed 1-inch copies of the photo on clear transparency at Office Depot. For the message part of the invitation, my husband designed a page that looked like the Alice In Wonderland book and illustrations. 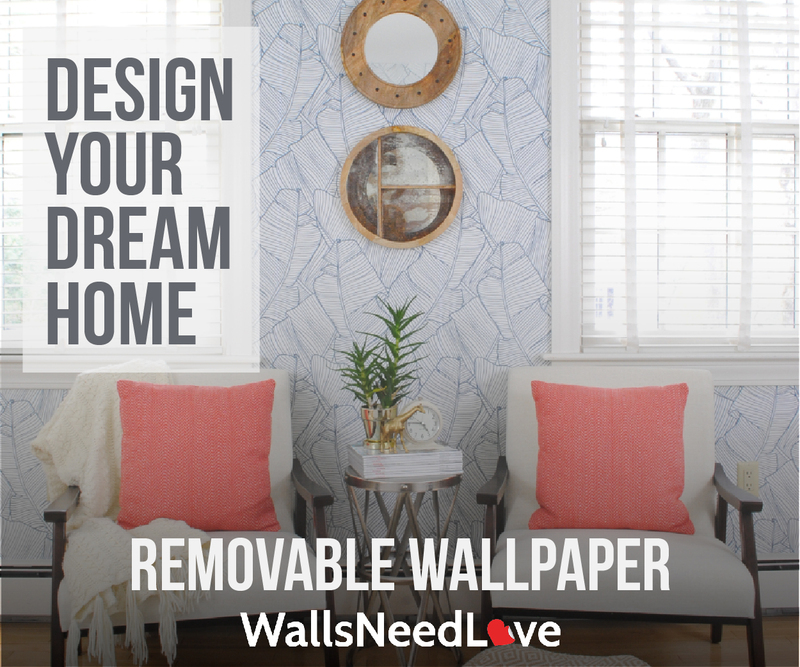 You can download the design here. He created it as a PDF where you can edit all of the information to fit your own party. These little invitations were perfect for my daughter to hand out at school to her friends because they fit in the palm of her hand. To get to Wonderland, you have to go through the rabbit hole. 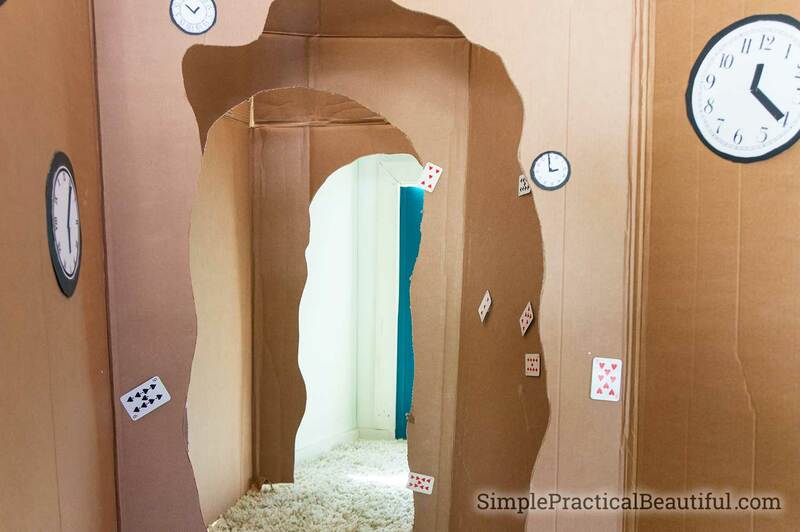 We built our own rabbit hole out of cardboard refrigerator boxes that the kids could go through to get to the party. Before they entered the rabbit hole, though, they each needed a key. I got these realistic skeleton keys from Amazon and we labeled each key with a guest’s name. The rabbit hole turned out amazing and was very detailed so I’m writing a separate post to explain how we made the rabbit hole. At the end of the rabbit hole, there was a small door with a knob that led to our backyard. 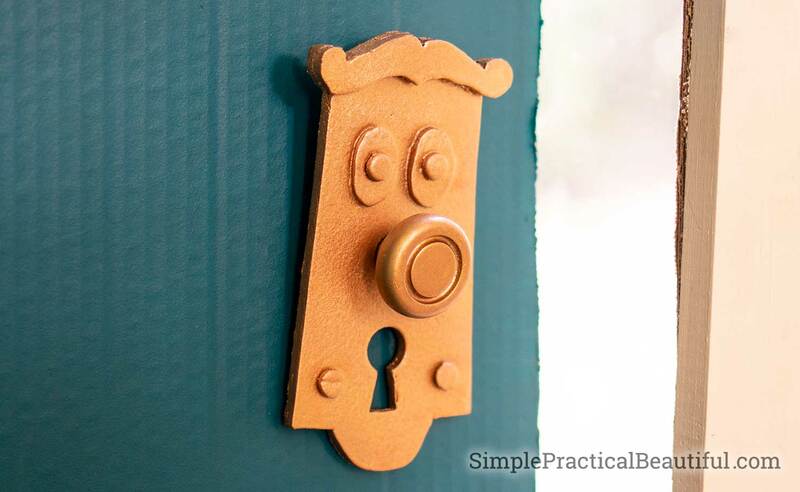 Again, there’s more about how we made the doorknob in my post about making the rabbit hole. 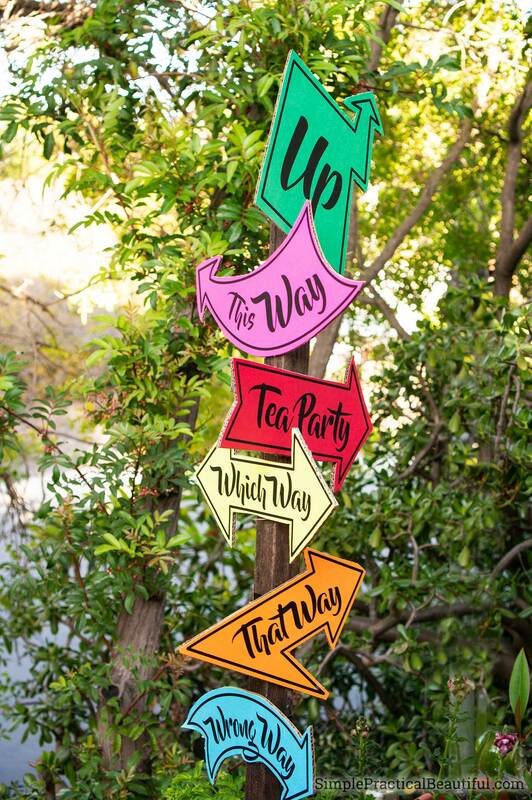 When the guests came out of the rabbit hole and into our backyard, there were a few signs around to give them directions in Wonderland. 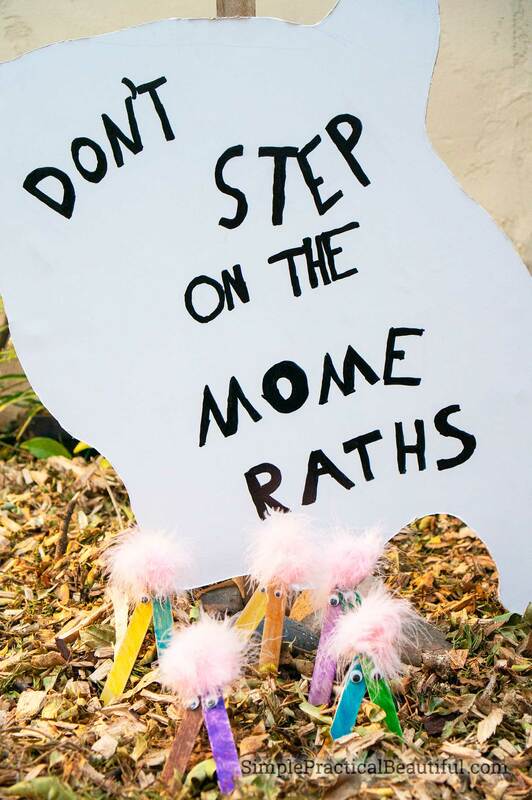 My daughter created mome raths that look like the ones in Disney’s Alice in Wonderland and a sign to point them out. 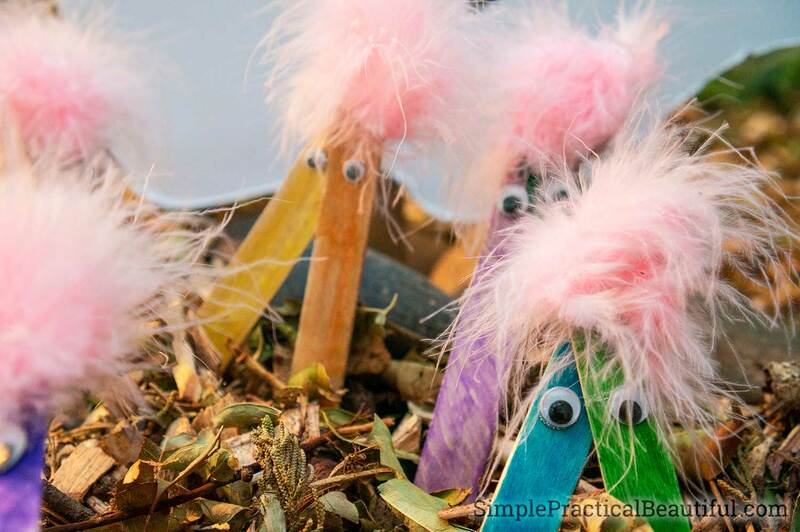 The mome raths are made from two popsicle sticks glues together and painted, then googly eyes and a few feather glued at the top. So simple, but so cute. 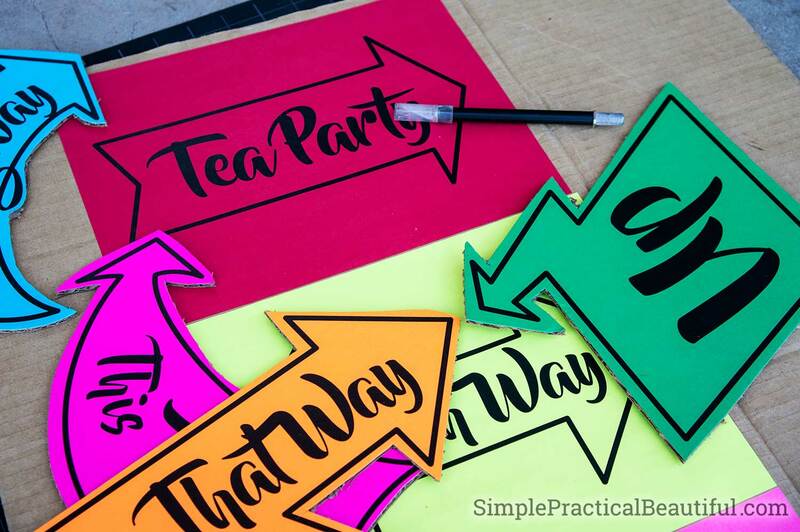 Like in Wonderland, we couldn’t make the directions to the tea party obvious (although the party was right next to this sign), so we made a signpost showing all the possible ways someone could go. You can download these Wonderland which way signs and print them out on a regular paper just by clicking on the link. 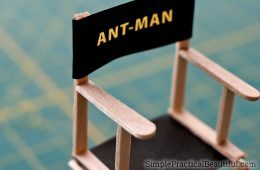 We printed them on colored paper and then glued them onto cardboard before attaching them to a small wood post in the yard. 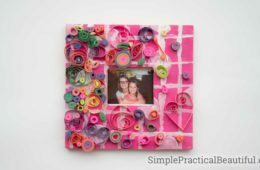 For a more eclectic look, you could print them on scrapbook papers with crazy patterns. For the tea party itself, we used our back patio, but we wanted it to look magical. We started by surrounding the whole area in a tent of tulle, or netting. I bought two bolts of tulle from Amazon and cut it into pieces as tall as our patio cover (8 feet). 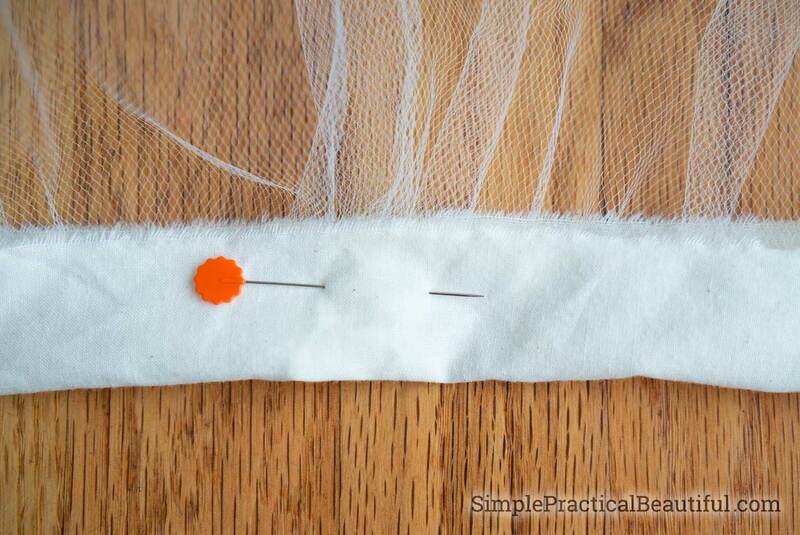 I gathered one end of each piece and added a strip of cloth so that I can reuse these tulle panels over and over. We’ve already used them for a Clue party. 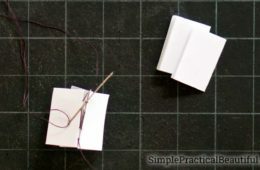 If you don’t want to sew, you can always hang the pieces of fabric without adding the cloth or gathering. 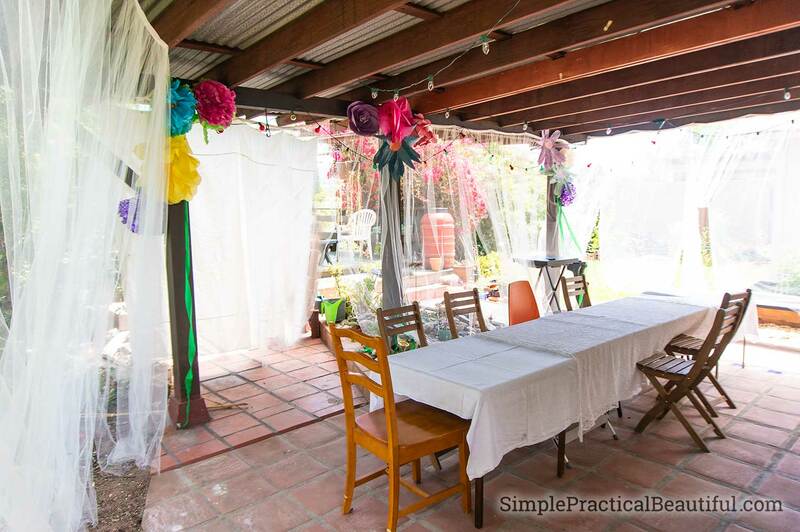 We put the tulle panels up all around the patio with push pins. It took about 20 panels to surround our patio. The pictures don’t do it justice, unfortunately, but it made the patio into an enchanting tent that closed off the area from the rest of the yard but still allowed light and airflow in. 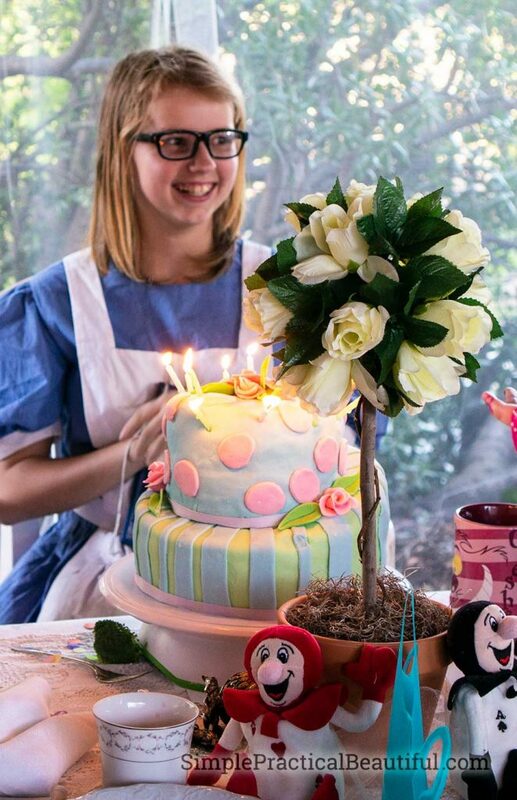 An Alice in Wonderland Party needs giant flowers. 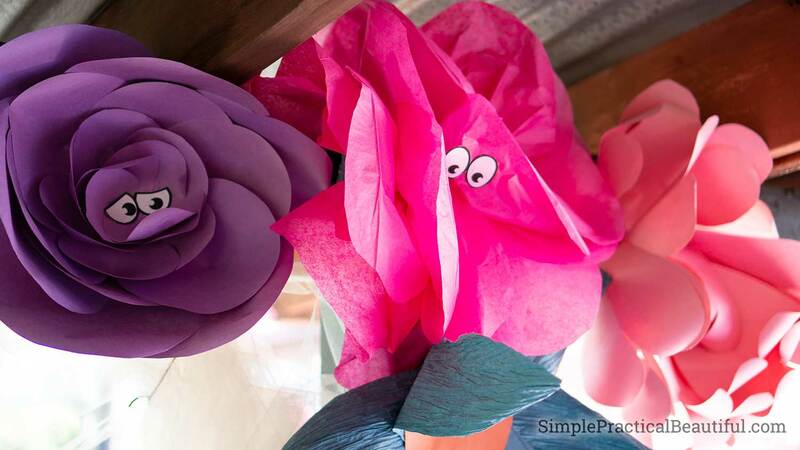 I searched through Pinterest to find lots of ideas on how to make giant paper flowers. I made them from tissue paper and construction paper using several different patterns. My favorite was a construction paper rose made from a pattern by Noella Mzinza. The easiest was a pack of tissue paper pom poms we picked up at the dollar store. We added paper eyes to all of the flowers so they would look more like animated characters. Years ago, I bought a bunch of random teacups and saucers at a thrift store for my daughter (then 6) to have a tea party birthday. 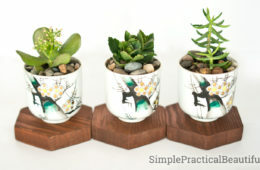 Unfortunately, I turned those teacups into succulent planters. So, we headed to a thrift store and bought more teacups. Using real teacups and plates instead of paper or plastic looks so much nicer, and at $.50 – $1.00 per cup, it didn’t break my budget. Definitely worth it. I also had some old mismatched silverware from my grandmother. 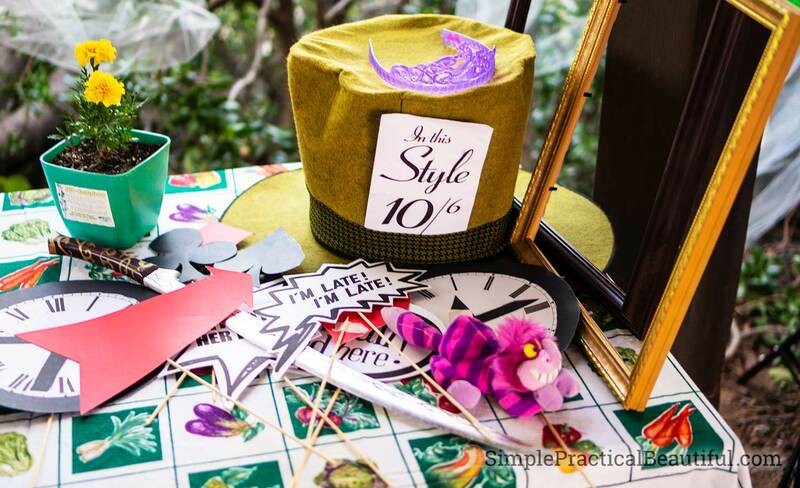 Since none of it matches, it was perfect for this Mad Hatter Tea Party. 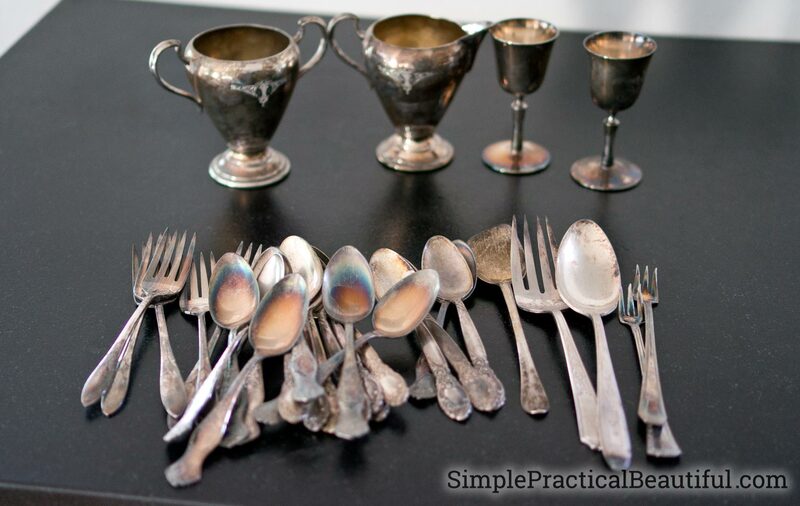 It was all real silver, so I used my new way of cleaning silver without polish to clean them up. 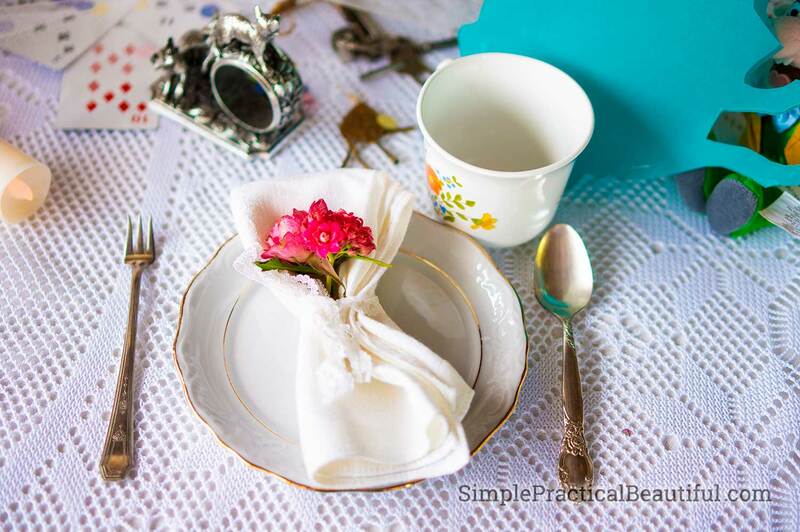 With cloth napkins tied with lace and a little cut flower placed in each, our tea party settings looked very elegant in a mad and mismatched sort of way. We tried to make the table decorations as crazy as we could. We made teapot shapes out of vellum, stapled two together, and set over an LED candle to light it up from the inside. We spread old keys, paper confetti, and face cards all over. I framed a couple of my favorite quotes from Alice in Wonderland. I made a red and a white rose topiary. 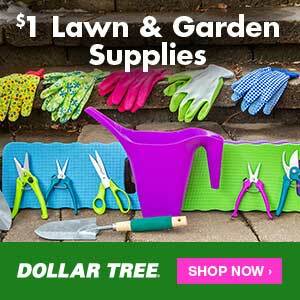 You can read the blog post on making a topiary from dollar store roses. 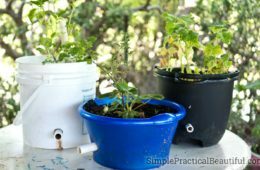 It was a super easy decoration to make and they looked impressive. We also made several large clock faces, but I forgot to get pictures of those. My daughter made some sugar cookies decorated with the words, “Eat Me” just like in Alice in Wonderland. 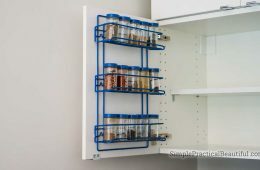 We put those inside a glass cake stand. I usually don’t like to serve sugar foods besides the cake at a party, but for a Wonderland party, Eat Me cookies are necessary. 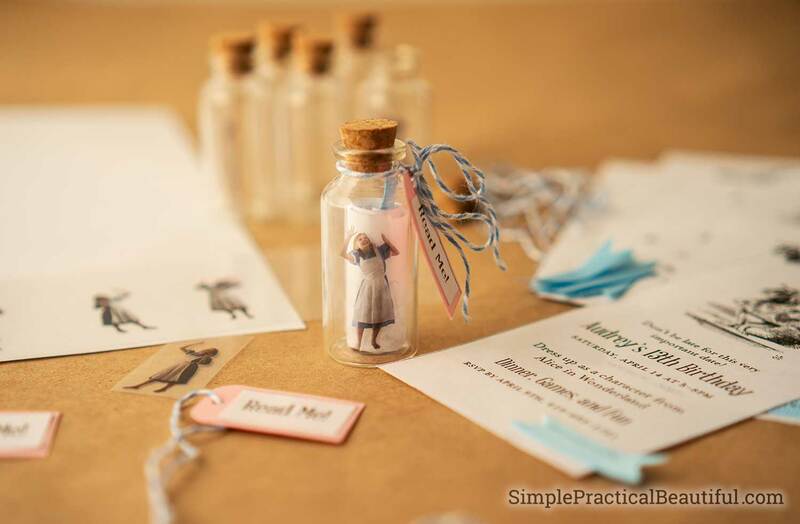 I also place some leftover bottles from our invitations around the table with labels that said: “Drink Me.” They were cute, but I made the mistake of filling them with water colored with food coloring. A couple spilled on my white tablecloths and the kids all wanted to try drinking them. I think I should have just left them empty. 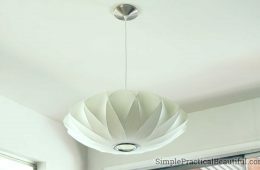 We bought a string of paper later years ago at Target (you can find a similar string paper lanterns on Amazon). We strung those across the ceiling and they added a very Disney’s Mad Hatter Tea Party feel. We not only spread a deck of cards across the tables, but we also created a few extra-large face cards to put up on the wall. 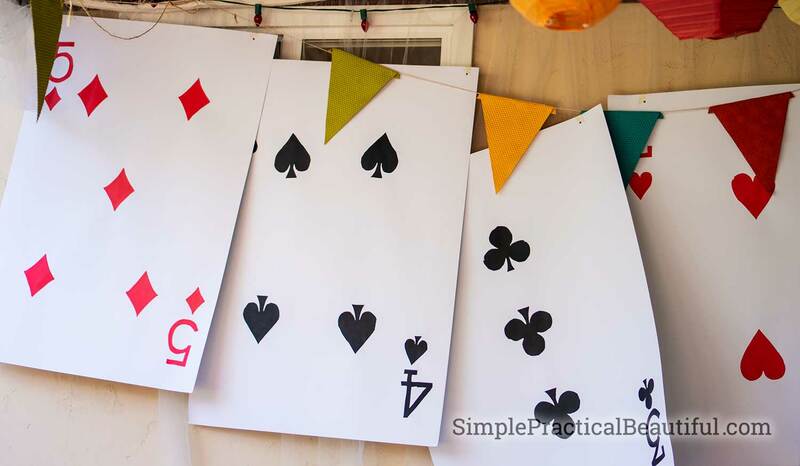 These cards are really easy to make—just a piece of white poster board and construction paper numbers and symbols glued on—but they are huge so they are really eye-catching and impressive decorations. We even made a pdf you can download with the numbers and symbols for the cards. We only made smaller numbers on the cards, like 2, 3, and 5 because we didn’t want to cut out ten club symbols for one card. A photo booth is the most popular part of every party we had for our tween and teenage girls. All of the guests (and our daughters) love showing off for a camera, especially when they can control the camera. It’s like a supersized selfie with their friends while wearing costumes. What could be better? You can get a pdf with some of the signs and graphics for the photobooth by clicking here. 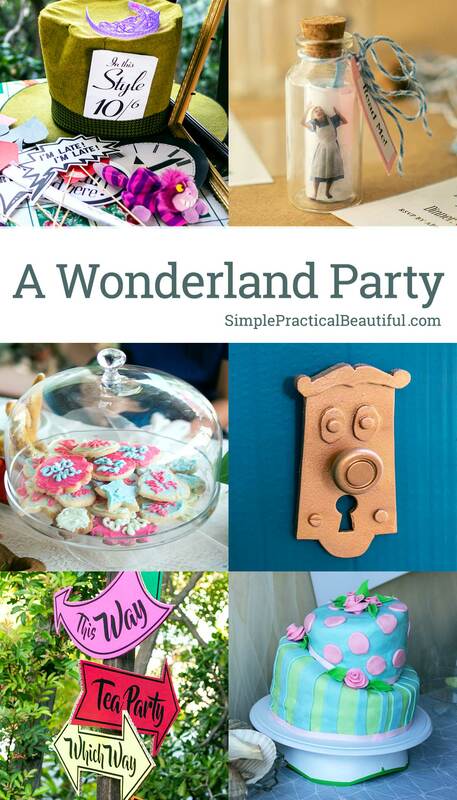 There are so many ideas for games at a Wonderland party. 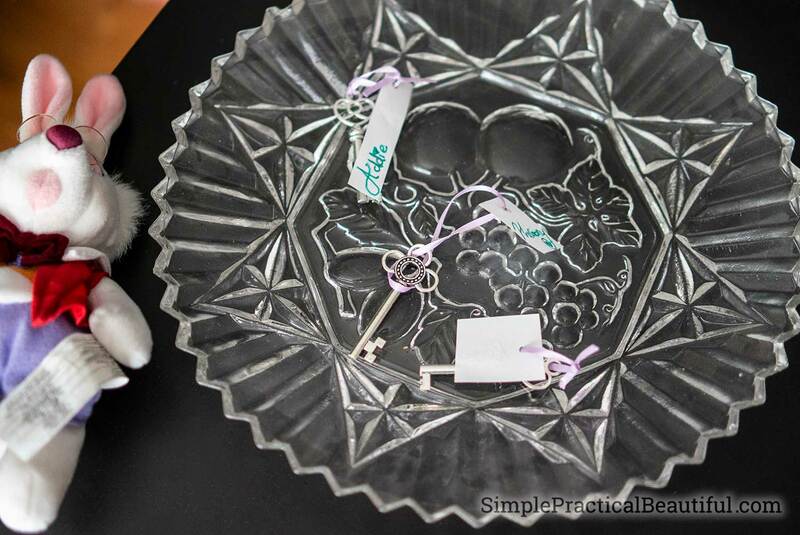 We picked four that were perfect for our teenager’s party, but they would work well for other ages too. My husband created a set of bingo cards with face cards instead of numbers. I thought this would be a quick project for him, but actually, every card is different so it took a really long time to create all 16 bingo card. It was a great game that all the guests love. If you want to use the bingo cards we made instead of spending hours creating your own, you can download the bingo game here. I added a twist to our second round of bingo. Halfway through the game, I announce, “Move down, clean cup!” And everyone had to move one seat to their right and play the bingo card they ended up with. I thought it was funny and so did most of the guests, but not everyone. I think this is my favorite kids’ party game ever. 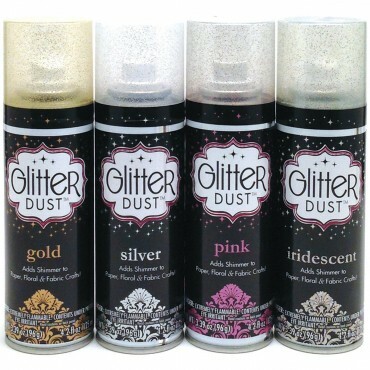 I reused it for my 5 year old’s party and it was just as fun as it was with the teenagers. Unlike musical chairs and other games, no one gets out and no one loses. The game starts with everyone walking around in a circle, listening to music, and hula hoops spread around on the ground. When the music stops, everyone needs to stand inside of a hula hoop. We had 6 hula hoops to start. Then the next round starts with only 5 hula hoops. Each round continues the same but with one less hula hoop, until the last round when the music stops everyone has to try to fit inside of one hula hoop. It was fun to watch because they had to much fun and helped each other fit. To make it even more like the Wonderland Caucus Race, the circle went around our fire pit, which was filled with red and orange balloons to look like a fire. The Nonsense Game happened throughout the entire party. We had a basket filled with about 50 quotes from the book Alice in Wonderland. Each guest started with one quote. They were to try to naturally use that quote in a conversation sometime during the party. If they were able to use it, they could go get another quote. At the end of the party, whoever used the most quotes in conversation won. This game actually improved the entire party. 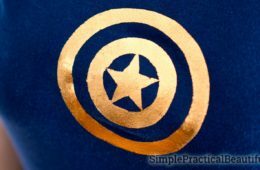 Any time that conversation seemed to hit a lull, guests would look at their quote and try to say something that would help them be able to naturally fit it in. The conversation never slowed and there were never any awkward silences. Our final game happened at the end of the party, after the sunset. 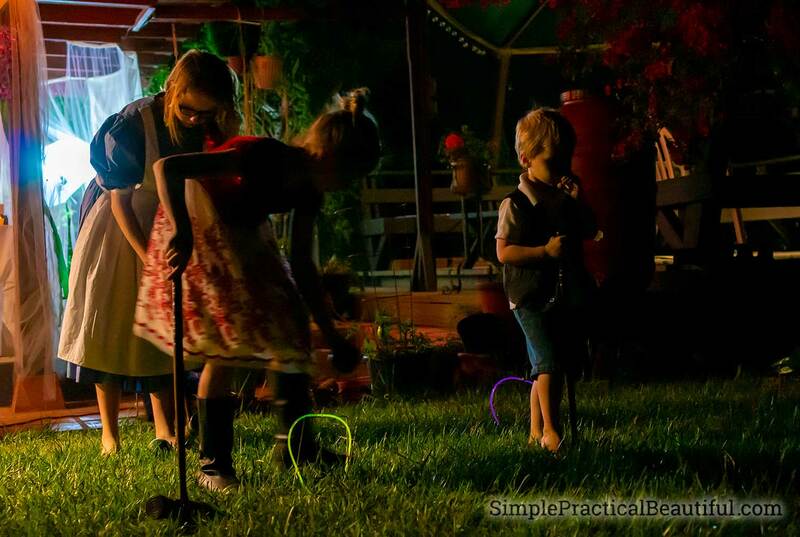 We quickly set up a croquet game on our lawn and attached glow stick bracelets to each of the hoops so they could be seen in the dark. At this point, everyone was a little too crazy from all the Wonderland fun to play a serious game of croquet, so they mostly just took turns hitting the croquet ball through random hoops. It was a good way to end the party because people could play or just sit and talk if they wanted. Two-layered topsy turvy cakes started to be very popular a few years ago They are perfect for an Alice in Wonderland Mad Tea Party and just as easy as making any two-tiered cake. The bottom of the top layer is actually flat, supported by dowels just like a normal tiered cake. 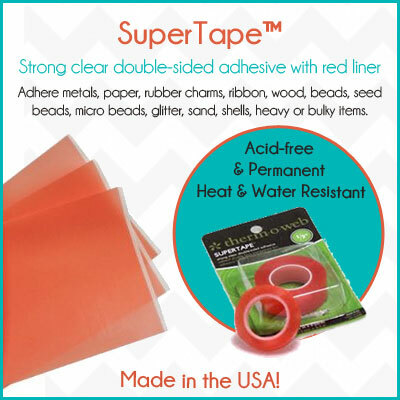 The only difference is that each layer is sliced diagonally and put together so that the thicker sides are together. 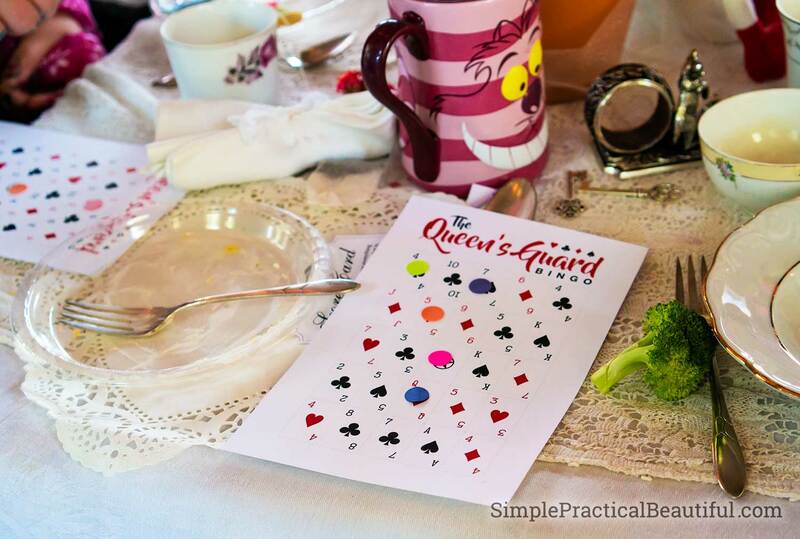 I hope you find some ideas here you can use for your Alice in Wonderland party. The best thing about this theme is that nothing should be perfect. Everything should be a little off, a little crazy, a little mad, and a whole lot of fun. 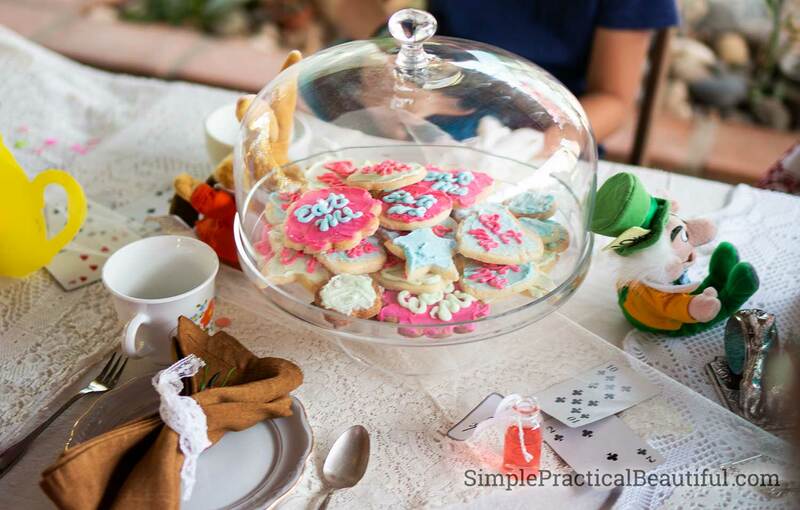 A Mad Hatter’s Tea Party is a fun birthday party to host and a fun way to celebrate.